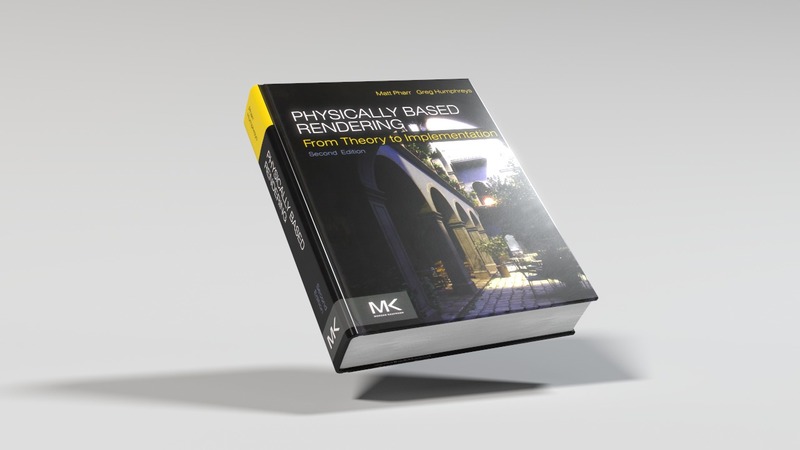 Today is the release date for the digital version of the new Physically Based Rendering 3rd Edition, by Matt Pharr, Wenzel Jakob, and Greg Humphreys. 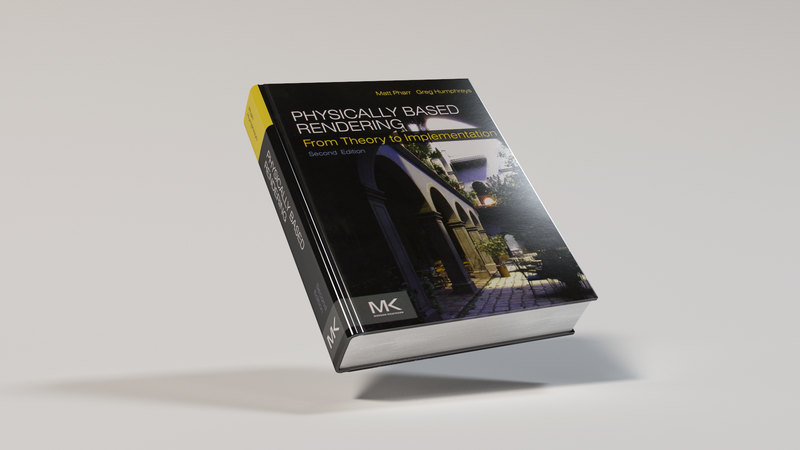 As anyone in the rendering world knows, Physically Based Rendering is THE reference book for the field; for novices, Physically Based Rendering is the best introduction one can get to the field, and for experts, Physically Based Rendering is an invaluable reference book to consult and check. I share a large office with three other engineers on the Hyperion team, and I think between the four of us, we actually have an average of more than one copy per person (of varying editions). I could not recommend this book enough. The third edition adds Wenzel Jakob as an author; Wenzel is the author of the research-oriented Mitsuba Renderer and is one of the most prominent new researchers in rendering in the past decade. There is a lot of great new light transport stuff in the third edition, which I’m guessing comes from Wenzel. Both Wenzel’s work and the previous editions of Physically Based Rendering were instrumental in influencing my path in rendering, so of course I’ve already had the third edition on pre-order since it was announced over a year ago. Each edition of Physically Based Rendering is accompanied by a major release of the PBRT renderer, which implements the book. The PBRT renderer is a major research resource for the community, and basically everyone I know in the field has learned something or another from looking through and taking apart PBRT. As part of the drive towards PBRT-v3, Matt Pharr made a call for interesting scenes to provide as demo scenes with the PBRT-v3 release. I offered Matt the PBRT-v2 scene I made a while back, because how could that scene not be rendered in PBRT? I’m very excited that Matt accepted and included the scene as part of PBRT-v3’s example scenes! You can find the example scenes here on the PBRT website. Really, it’s just the lighting that is a bit different; the Takua version is slightly warmer and slightly underexposed in comparison. At some point I should make an updated version of this scene using the third edition book. I’m hoping to be able to contribute more of my Takua test scenes to the community in PBRT-v3 format in the future; giving back to such a major influence on my own career is extremely important. As part of the process of porting the scene over to PBRT-v3, I also wrote a super-hacky render viewer for PBRT that shows the progress of the render as the renderer runs. Unfortunately, this viewer is mega-hacky, and I don’t have time at the moment to clean it up and release it. Hopefully at some point I’ll be able to; alternatively, anyone else who wants to take a look and give it a stab, feel free to contact me. Addendum 04/28/2017: Matt was recently looking for some interesting water-sim scenes to demonstrate dielectrics and glass materials and refraction and whatnot. 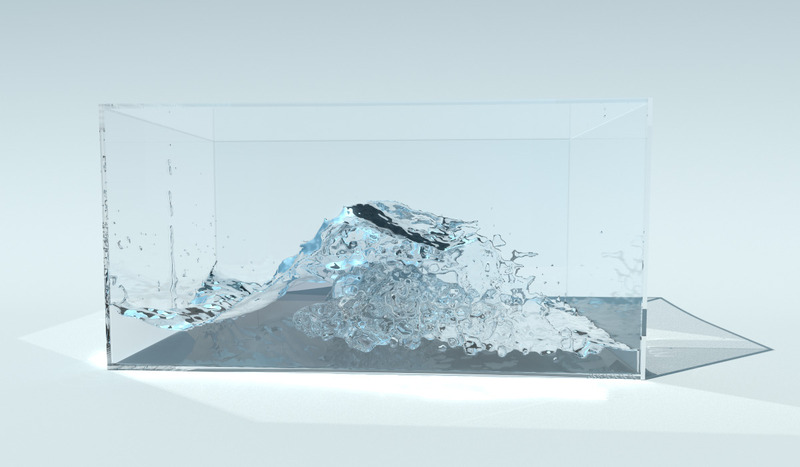 I contributed a few frames from my PIC/FLIP fluid simulator, Ariel. Most of the data from Ariel doesn’t exist in meshed format anymore; I still have all of the raw VDBs and stuff, but the meshes took up way more storage space than I could afford at the time. I can still regenerate all of the meshes though, and I also have a handleful of frames in mesh form still from my attenuated transmission blog post. The frame from the first image in that post is now also included in the PBRT-v3 example scene suite! The PBRT version looks very different since it is intended to demonstrate and test something very different from what I was doing in that blog post, but it still looks great!